If you’re one of the thousands of people who have enjoyed a Club Med experience, you might have also unknowingly enjoyed audio broadcast to you from Technomad loudspeakers. 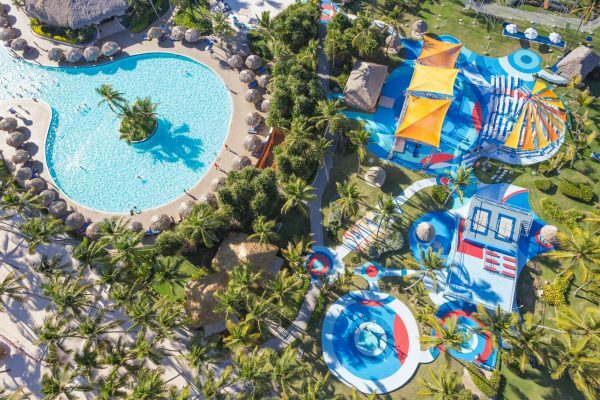 To date, Technomad loudspeakers can be found in four international Club Med locations, the most recent being Club Med Punta Cana. 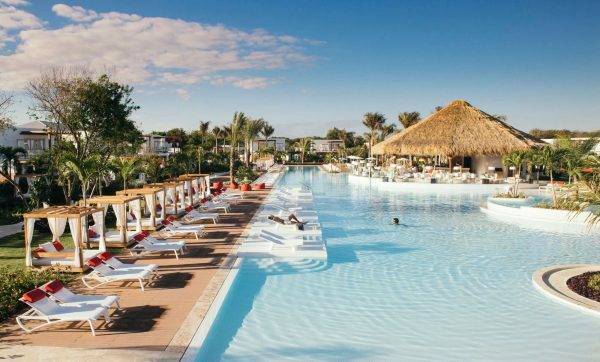 Located on the gem-colored waters of the Caribean, Club Med Punta Cana boasts colonial architecture, white sand beaches, and a palm tree-studded coast. Guests can relax like VIP’s in Tiara, a 5-Trident luxury area; be pampered in the Zen Oasis, an adults-only hideaway; or experience Creactive, a Cirque-du-Soleil staffed circus playground for adults and kids. If you’re enjoying a game of beach volleyball in the ocean-side courts or a fruity drink in your private thatched-roof cabana, you’ll hear the beats of meringue pulsing through the property, broadcast by Technomad’s very own Berlin loudspeakers. These powerful, full-range loudspeakers are IP56 weatherproof making them impermeable to the ocean-spray and strong wind-gusts of the Carribean coast. 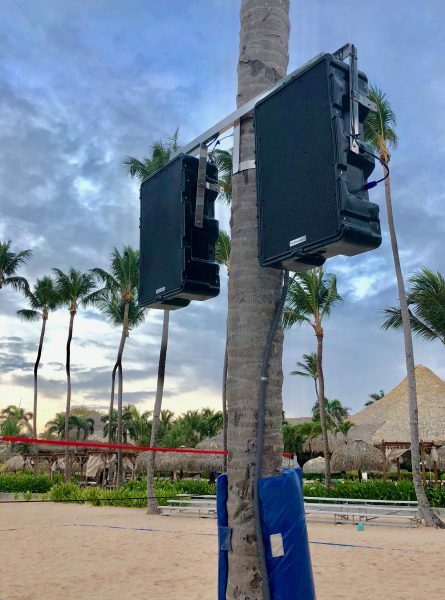 The Berlin loudspeakers broadcast crystal-clear sound and can be seen mounted on palm-trees throughout the Dominican Republic Club Med property. Looking for a weatherproof audio solution for your next project? Contact us now.